"Black and white photograph printed on glossy paper. Facial portrait o"
Black and white photograph printed on glossy paper. 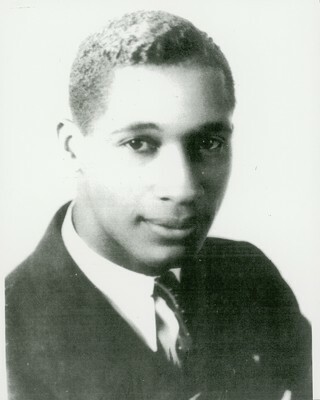 Facial portrait of Lloyd L.Gaines.